One of my favorite things to eat on a hot summer day when I was growing up was an orange dreamsicle popsicle. I savored every cold bite of orange and vanilla flavors. 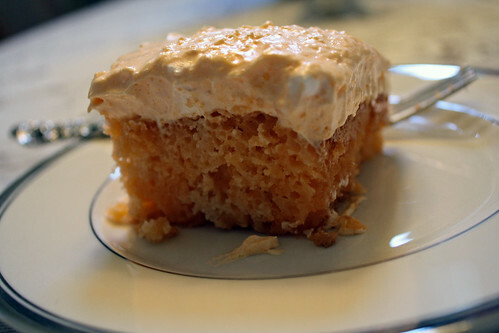 It isn’t any wonder that after I got older I still craved those flavors so I thought I would make an Orange Dreamsicle Cake. It is one of my favorites. Combine 1 package of French Vanilla Cake Mix, 12 oz. of orange soda and 2 eggs. 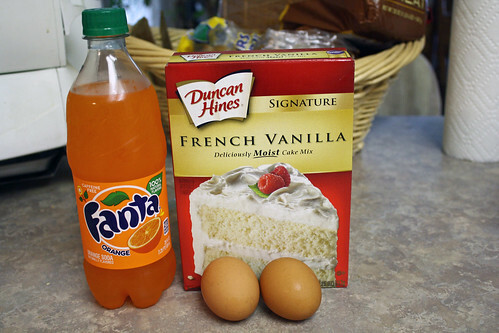 Since I had some leftover orange soda I drank it while I was mixing up the cake just to get my taste buds going. Spray a 9×13 inch pan with an oil spray. Pour the cake batter into the pan and bake it at 350 degrees for 30 minutes. 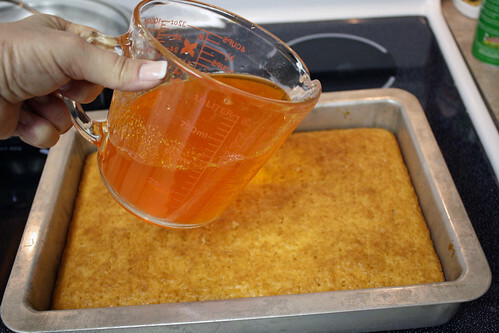 About 5 minutes before the cake needs to come out of the oven, mix 1 package of orange jello into 1 cup of hot water. Mix up the jello until it is completely dissolved. Then add 1 cup of cold water to the jello. When the cake comes out of the oven, pierce the cake with a fork. Carefully pierce the cake as many times as possible. Pour the jello mixture that you just mixed up on top of the cake. Cover the cake and refrigerate it for 2 hours. Right before the end of the 2 hours, mix up the frosting. 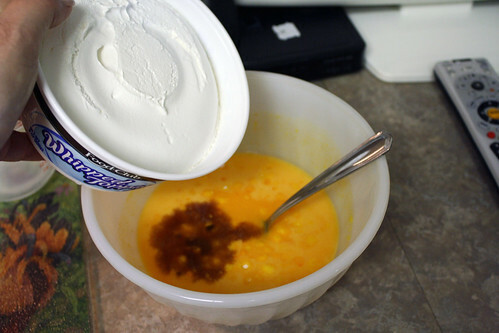 Pour one box of french vanilla instant pudding into a bowl. 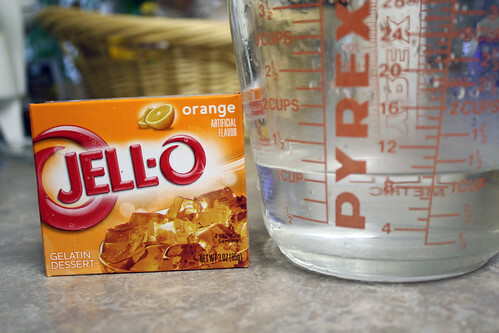 Pour 1 package of orange jello into the same bowl. 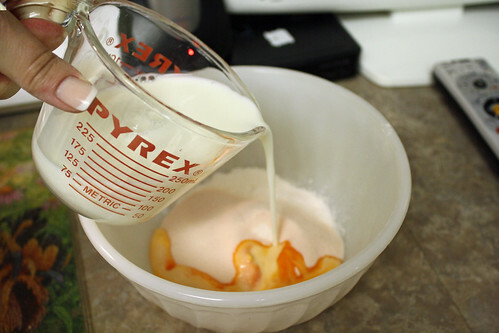 Pour 1 cup of cold milk into the bowl and mix it up. Add one teaspoon of vanilla. Add 8 ounces of a frozen whipped topping that has been thawed out. 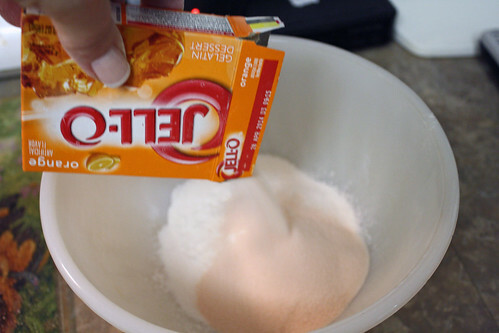 Fold it into the jello/pudding mixture. Now your frosting is ready to put on the cake! Cover the cake after it has been iced and refrigerate for 1 hour before serving. Now enjoy every luscious bite!!! 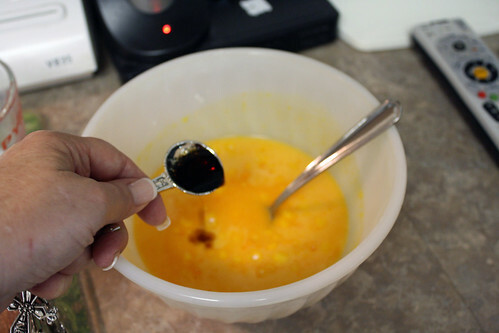 Mix cake mix with orange pop and eggs. 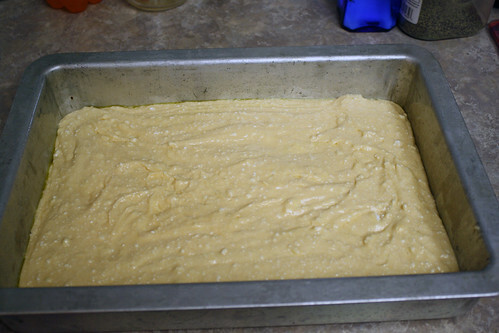 Spray 9×13 cake pan with Pam, pour batter into pan. Bake 20 -30 minutes at 350 degrees. 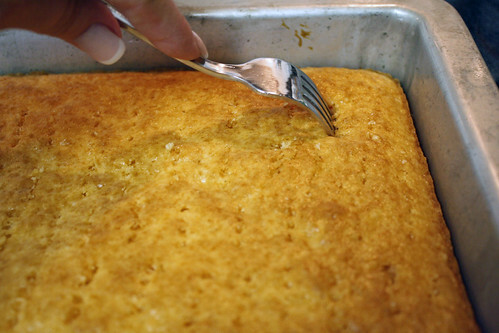 When cake is done, poke holes in the cake with fork sprayed with Pam. Mix 1 pkg. of orange jello in 1 C. hot water until dissolved. Add 1 C. cold water and pour entire mixture over cake. Refrigerate for at least 2 hours. 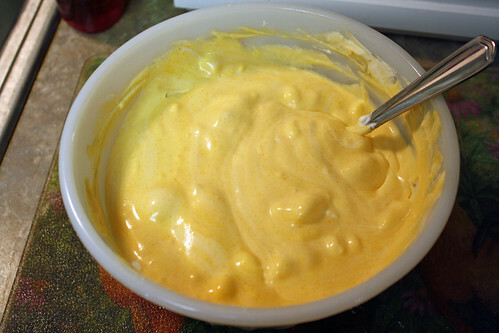 Mix vanilla pudding mix and other pack of Jell-O together (dry). Add 1 C. of milk and 1 tsp. vanilla. Mix well, blend in thawed Cool Whip. 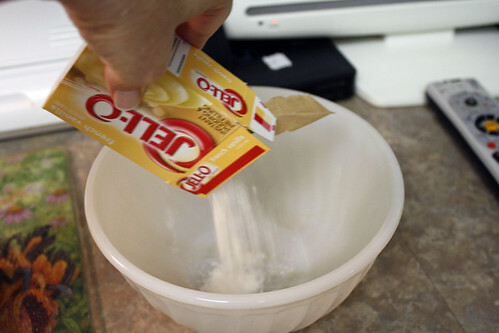 Use this mixture to frost cake! Keep cake refrigerated. Posted on July 2, 2012 July 2, 2012 by cookingwithpizazzPosted in Dessert, SweetsTagged Cake, Dessert, Food, Recipe.